The platform is looking to offer the Innovative Finance ISA to new customers in the coming months. 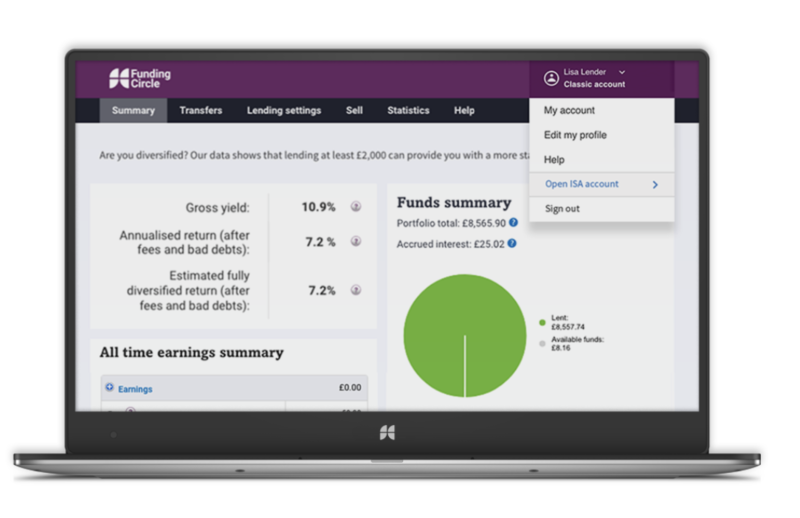 The largest P2P lending platform in the UK Funding Circle is next week launching its Innovative Finance Individual Savings Account (IFISA) tax-wrapper, to current customers only. The Funding Circle ISA will allow investors, from 30th November, to earn interest tax-free, up to £20k in the current tax year. As an example, if a higher rate taxpayer lends £20,000 through the Funding Circle ISA and earns a one-year return of 7.5 after fees and bad debt, their post-tax earnings after one year could increase from £900 to £1,500. Once all current investors have had an opportunity to create an account, Funding Circle will launch the ISA to new investors. Following this, it will roll out the ability to transfer in existing ISA subscriptions. Owing to regulatory restrictions investors are unable to transfer loan parts directly from their normal accounts to ISA accounts. However you can sell your loans quickly and easily to other investors, providing they aren’t late or experiencing any credit issues, before withdrawing your funds to a UK bank account and then transferring them to your ISA. Investors can withdraw any available funds without affecting your annual £20,000 ISA subscription limit, providing they transfer them back in by the end of the tax year.